Recalling his Scottish heritage, Ross made liberal use of bunkers, both across the fairway and around the green. Don’t let the short 6,089-yard par 70 fool you; wild drives or a sloppy short game can make for a long day. No. 1 was a great start for Pinehurst, and it’s a great start for your visit. No. 2 is largely considered Donald Ross’s greatest masterpiece. It has served as the site of more single golf championships than any course in America including the U.S. Open and the Ryder Cup Matches. Pinehurst No. 2 is best known for its crowned, undulating greens, which are some of the most complex and widely hailed in the world. 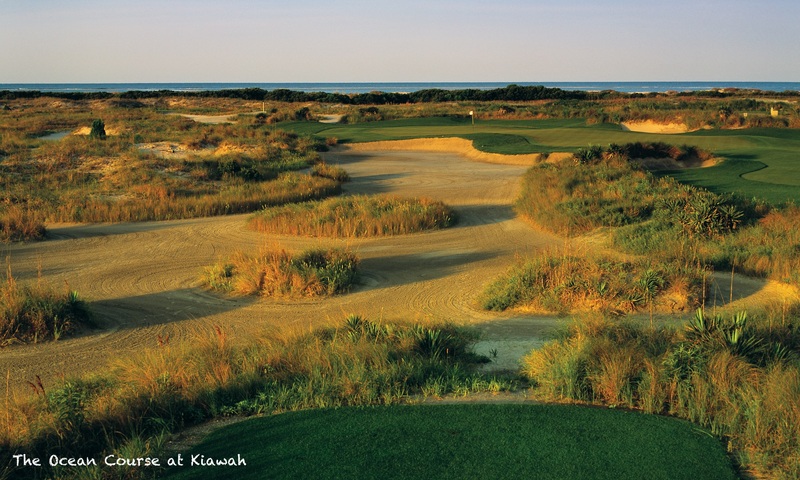 In 2011, the team of Bill Coore and Ben Crenshaw completed a restoration of the course returning the natural areas and strategic shot values that Ross originally intended. Pinehurst No. 4 combines the classical routing of Donald Ross with the contemporary vision of Tom Fazio, who re-imagined the course in 2000. Fazio tipped his hat to Ross with crowned greens on many holes, and the addition of more than 140 pot bunkers. These, combined with several sprawling waste bunkers and more traditional sand traps, give No. 4 a challenging 188 sand hazards. Most agree that Fazio elevated a good course to a great one with his work on No. 4. Indeed, it was selected as the co-site of the 2008 U.S. Amateur. The combination of water carries, elevated greens and overall greater yardage favors longer hitters. No. 5 offers classic Pinehurst golf—more challenging than Nos. 1 and 3, but less taxing than No. 2. It won’t disappoint. Pinehurst No. 6 rests a few miles from the center of Pinehurst, and is also a departure from the first five courses in design and temperament. It’s the first Pinehurst effort by Tom Fazio, who began work on No. 6 in 1975 with his uncle George, a famed designer in his own right. The result was a more rugged, undulating track that demands bigger drives and more aggressive approaches. Tom returned in 2005 to carve new bunkers, soften angles and seed faster greens. The addition of native wiregrass throughout the course gives it a distinctive Pinehurst feel. Between the water, bunkers, wetlands and woods, there are plenty of perils on this par-71 track. The back nine is among Pinehurst’s most challenging halves. Pinehurst No. 7 was designed by Rees Jones in1986 and is located on the site of a forgotten nine-hole employee course that was laid out by Donald Ross. At 7,216 yards, No. 7 is one of Pinehurst longest tracks, unfolding over dramatic, hilly terrain that’s dotted with wetlands in lower-lying areas. Elevated tees let you register the challenges that wait; elevated greens demand approaches struck with authority. No. 7 has many colorful flourishes. Old bunkers from the employee course that Jones uncovered during initial routing adorn the tee of the par-4 4th hole; one wetlands area, the “Devil’s Gut,” must be cleared on your approach to the short par-4 7th hole, and Jones’ trademark “Fingers” bunker demands accuracy on 16. Pinehurst No. 8 also known as the Centennial Course, was designed in 1996 by Tom Fazio in celebration of Pinehurst’s 100th birthday. Fazio took full advantage of the 420 acres of rolling terrain and natural wetlands to fashion a course that’s visually enthralling, challenging and yet fun to play. Some feel that No. 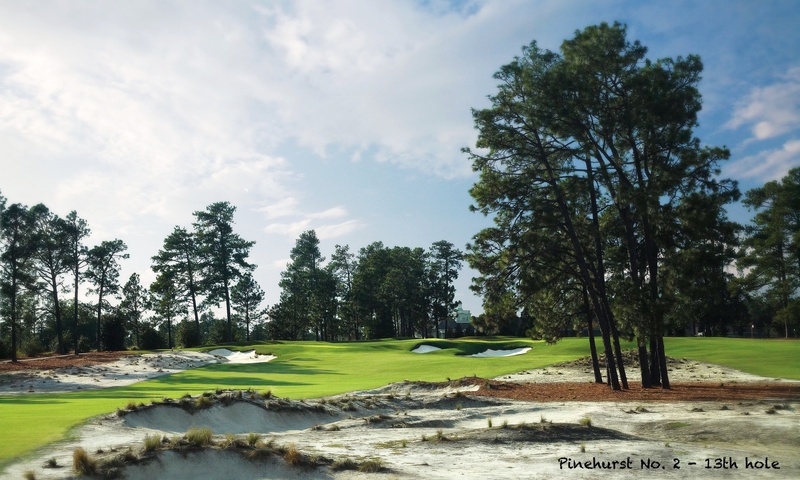 8 synthesizes all the elements of the Pinehurst golf experience into one layout better than any of the other courses, and many mid- and higher-handicappers find it the most enjoyable and scenic track to play. Built by Jack Nicklaus in 1988, Pinehurst No. 9 is a magnificent 7,122-yard course and is as meticulously designed as it is compelling. An intriguingly well-balanced course, this Nicklaus classic features wide fairways and undulating putting surfaces that test your mind and your true golfing ability. Each hole has been customized to create a great diversity in the way it can be played. Added to this uniqueness are tall pines, grassy swales, groomed waste areas and a natural variety of lakes and streambeds beautifully fashioned to give No. 9 its own distinctive look. To help plan your trip please take a look at our Pinehurst Resort intro and Pinehurst Accommodation pages.